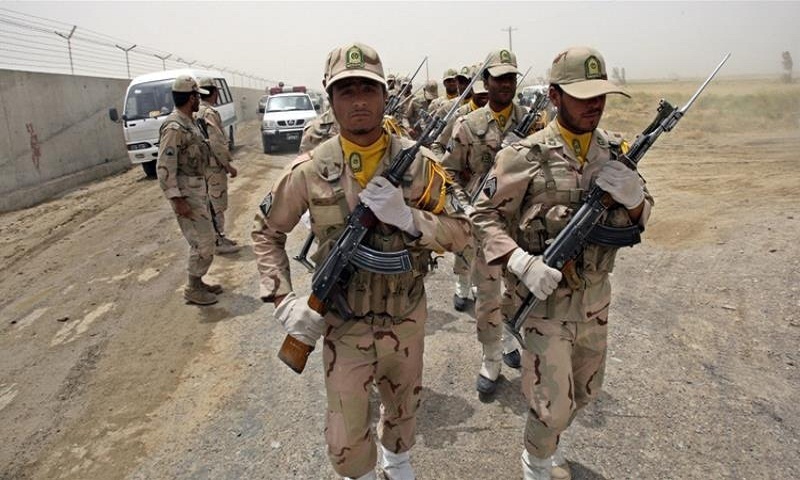 At least 10 Iranian border guards were killed in an overnight attack by unidentified gunmen near the Iraqi border, Iranian media reported Saturday. The attack took place near the town of Marivan, in a Kurdish area of Iran some 620 kilometers (385 miles) west of the capital Tehran, according to the semi-official Fars news agency. Fars, close to Iran's powerful Revolutionary Guard, said that all of the causalities were members of the Guard. During the shootout, several of the attackers, described as "bandits and counterrevolutionary terrorists," were killed and others were injured, Fars reported without giving further details. It said an explosion in an ammunition depot caused more damage during the fighting. The official IRNA news agency reported 11 guards were killed during the clash and eight others were wounded. IRNA identified the guards killed as locals from Kurdish towns. It was not immediately clear why there was a discrepancy in the number of fatalities reported. It was the largest number of Iranian troops killed in a single attack on the Iraqi border in recent years, though the area has seen occasional fighting between Iranian forces and Kurdish separatists as well as militants linked to the Islamic State extremist group.